Hair care is something i always try to improve. My hair has been dyed and bleached more times than i care to remember. I have been on the hunt for a product that will help bring my hair back to life without ruining the colour. Nanokeratin System is a hair care brand i haven't heard of until now. 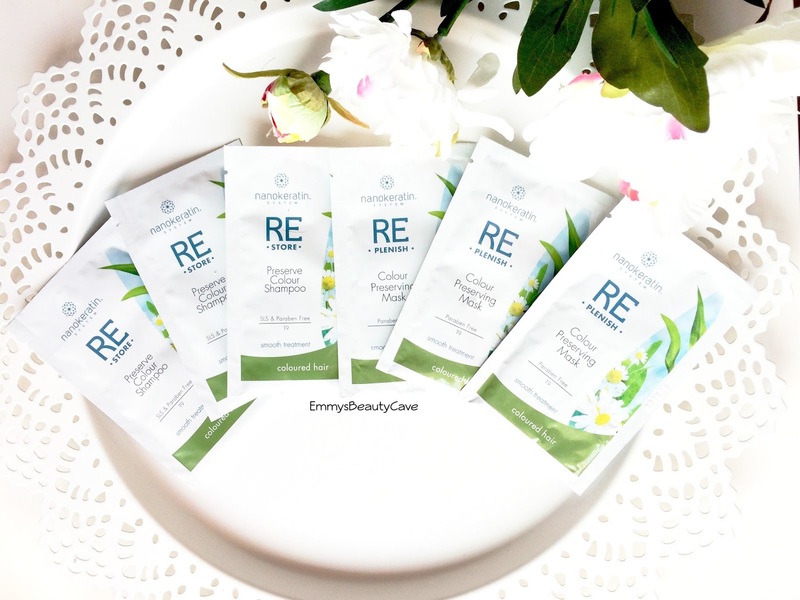 I am so happy i have been given the chance to try out this brand as i am super impressed! Firstly i received the Nanokeration System Restore Preserve Colour Shampoo. Inherit an anti-fade effect for coloured hair, replenishes and continues to balance post-treatment hair, cleansing while restoring optimum moisture levels and nutrients, without stripping its colour. So whats different about this shampoo? As soon as i used this shampoo i noticed my extra thick hair felt alot smoother than normal. My hair is so thick it takes two hairdressers to dry my hair so it definitely soaks up alot of shampoo. My dark brown coloured hair has looked healthier over the past week and i have had comments asking if i have recently dyed my hair which i haven't! So this shampoo does the trick! The second product i received was the Nanokeratin System Replenish Colour Preserving Mask which is definitely my favourite of the two products. Shampoo your hair as normal, rinse and then apply this mask on towel dried hair. It states to apply this mask from roots to tips and leave on for 20 minutes. You can use this under heat. After 20 minutes i rinsed my hair and instantly felt how soft my hair was. Usually when rinsing off hair masks because of how thick my hair is i tend to get alot of knots. This mask is a life saver! These both sound so amazing, hair care is always a step I skip and I know I shouldn't! I struggle with thick hair, too! These products sound great!